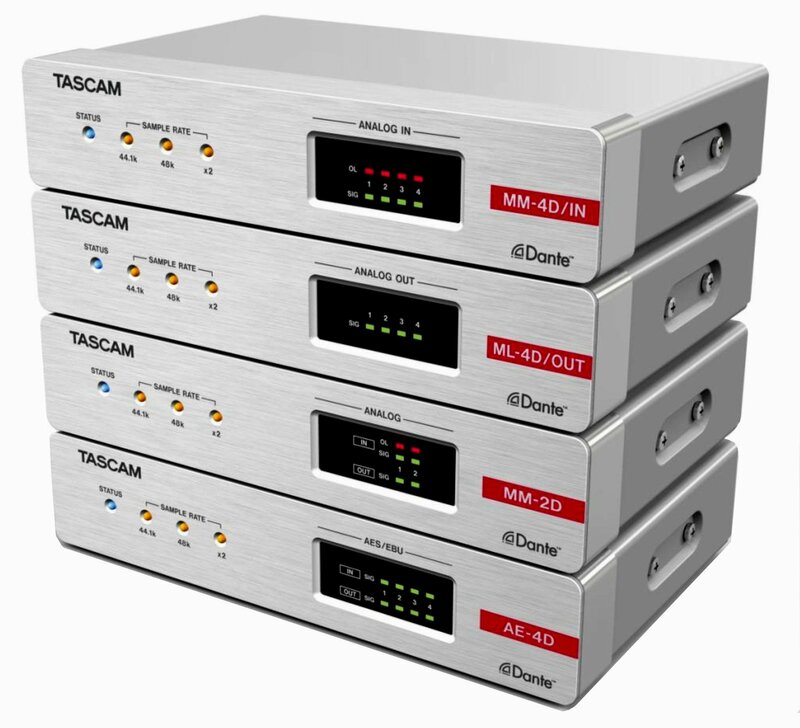 On their booth at ISE, TASCAM will be showing a new range of innovative and cost effective products targeted directly at providing AV solutions for commercial, corporate/industrial users, education and governmental institutions. 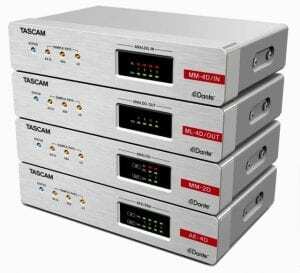 TASCAM’s move into fully AV enabled solutions builds on the solid, ultra-reliable workhorse products for professionals that TASCAM is renowned for producing and at ISE 2019 we are inviting AV Integrators, Distributors and Consultants to meet our team on the booth to discover why they should be working with TASCAM AV solutions. Several existing key products will also be at the booth, including the Model 24 Recorder/Mixer, the ML-16D/ML-32D Dante/AES67 multi-channel audio interfaces, the MZ-223/MZ-372 Zone Mixers, plus the Dante/AES67 enabled stereo SS-R250N and 64 channel DA-6400 audio recorder/players. More information including detailed specifications and shipping dates will be available during ISE. 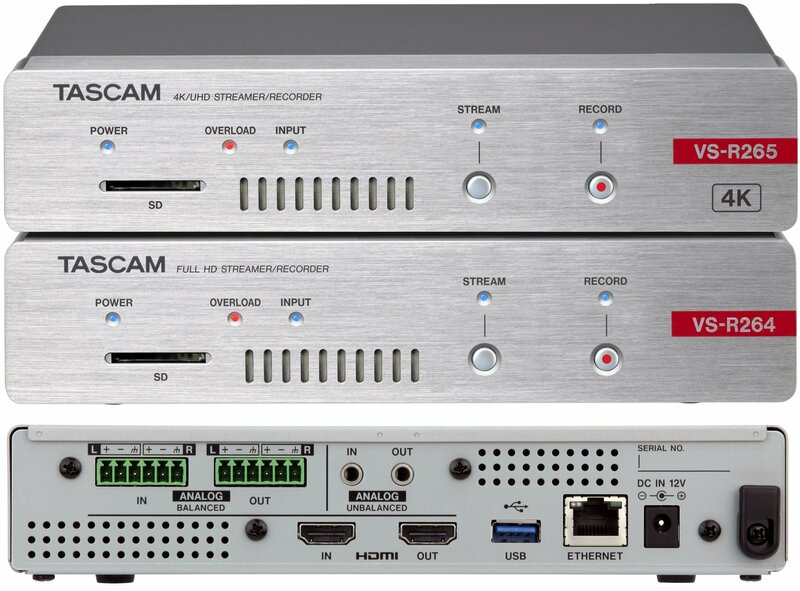 4K / HD Video Encoding, Streaming, Recording and Decoding devices (bi-directional) in HEVC/H.265 or H.264 and balanced/unbalanced audio. With a compact 1U ½ rack size, they can be rack mounted or screwed under a desk, but the attractive styling won’t look out of place on a desktop. Features include simultaneous AV encoding, streaming, recording and decoding over corporate networks and WANs, live streaming via the Internet, plus automatic FTP upload of recorded files to network storage. Utilising open streaming formats and protocols and with control via a RESTful API, the VS-R series support CDNs and online live platforms like YouTube, Facebook, Wowza, Ustream, AWS Elemental MediaLive & CloudFront and others. 1U 8×8 Matrix Mixer with 8 Mic/Line inputs and 8 Line outputs via Euroblock connectors, plus stereo USB I/O compatible with software/cloud based conferencing platforms. The powerful internal DSP provides mixing/routing, a compressor, 4 band parametric EQ and auto level control for each input and a 10 band EQ, high / low pass filter, delay, and a limiter function per output, all of which can be adjusted and saved to any of the 50 scene memories. To make audio for announcements clearer, automatic ducking and ambient noise compensator functions are also available. Ideal for many applications including meeting rooms, huddle spaces, court rooms, restaurants, stores, banqueting rooms and others. 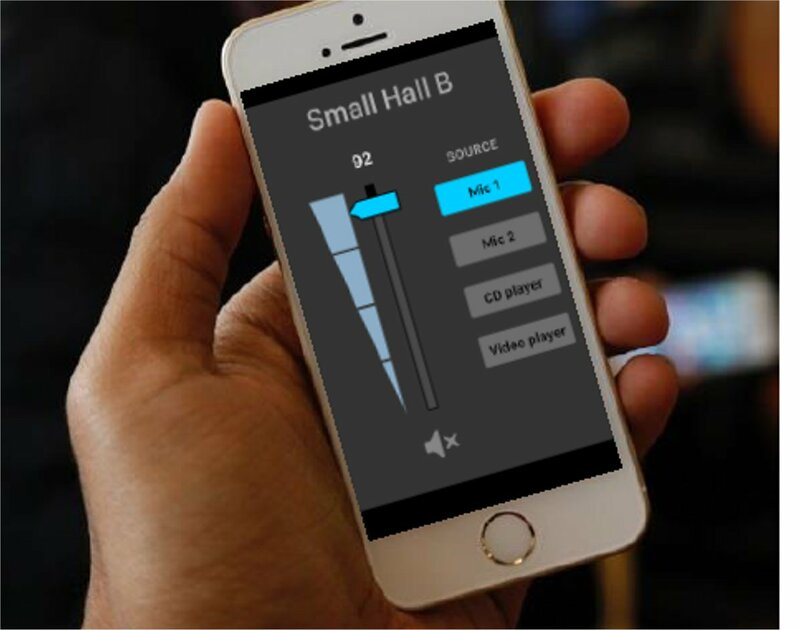 Full remote control is provided via the TASCAM MX-Connect app for configuration and the TASCAM EZ-Connect user app, both of which are simple to use and included with the unit. Using MX-Connect installers can quickly and easily configure the MX-8A and then assign appropriate simple controls for access by users via EZ-Connect. A flexible range of Dante/AES67 Compact Processors with 4 channels of Mic, Line and AES-EBU audio I/O via Euroblock or XLR in various configurations, in a compact 1U ½ rack size. Up to 24bit 96kHz sample rates, with internal DSP mixing, plus functions like routing, EQ, auto-ducking, dynamics and automatic control of levels and noise compensation. The in-built DSP mixes the physical I/O plus up to 4 streams in and out via the AoIP network, so that no costly separate processor is needed, a key advantage. 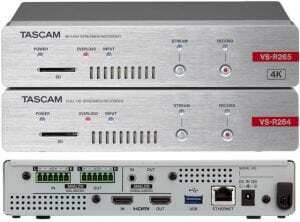 Remote control is provided via the TASCAM DCP-Connect app for configuration and the TASCAM EZ-Connect user app, both of which are simple to use and included with the units. 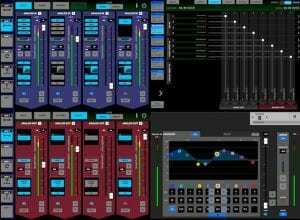 Free, easy to use app for configuring one or more TASCAM MX/MM/ML/AE products, which can implement simple applications quickly, but can still handle complex scenarios with ease. 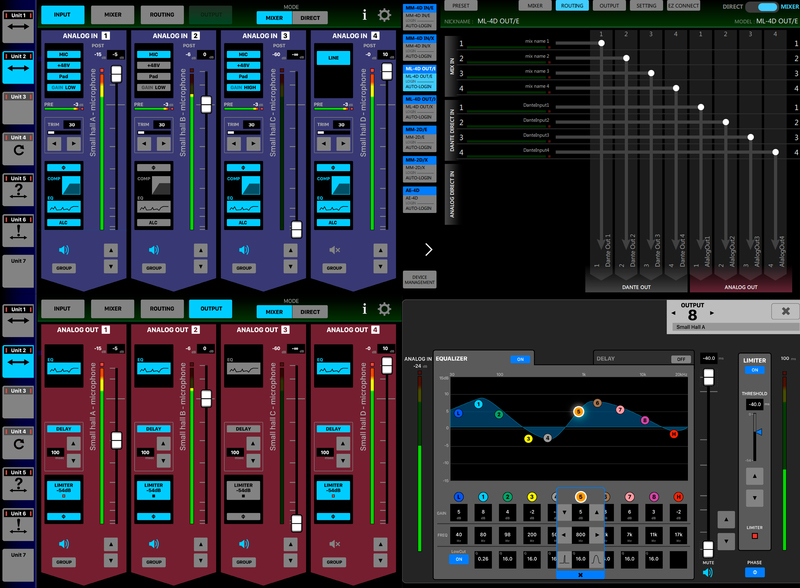 Installers can quickly setup the mixing/routing and DSP functions and then save presets for different scenarios. It can also select the simple controls that will be exposed for end users via EZ-Connect. SupportsWindows/macOS/Android/iOS devices. No training needed! Control app designed for end-users with simple controls for selection, volume etc. Compatible with Windows/macOS/Android/iOS devices.